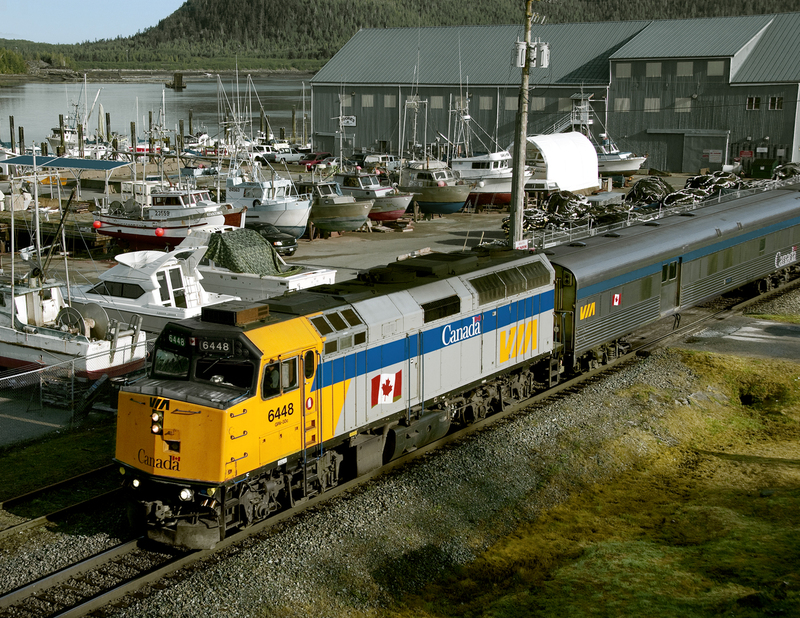 Railpictures.ca - Bill Hooper Photo: Eastbound Via’s “Rupert Rocket” passes dry-docked fishing boats along the salmon rich Skeena River estuary | Railpictures.ca – Canadian Railway Photography – photographie ferroviaire Canadienne. Beautiful shot Sir! This is a ‘Bucket List’ train for me soon.